TRUCKEE, Calif. — InnerRhythms spreads their wings this spring with six new fitness classes in Barre Basics and yoga beginning in April. BarreRhythms, a safe and effective barre exercise program, fuses the principles of ballet, Pilates, and yoga to create a highly functional yet challenging workout. Exercises are designed to lengthen muscle against gravity in order to improve strength and balance, while sculpting and toning. No shortening, tucking, tightening or squeezing allowed. Created by international fitness experts, presenters, and celebrities Leslee Bender and Tricia Murphy Madden, Barre Basics and BarreRhythms is now the leading barre program in the country and is being presented at fitness conferences worldwide. Students need to bring: a yoga mat, towel, and water. InnerRhythms encourages the sweat and smiles. 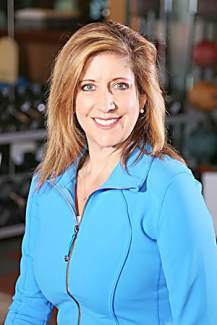 Barre Instructor Carrie Haines is a certified personal trainer, group fitness instructor, and fitness educator with over 25 years’ experience. Haines is certified by the National Academy of Sports Medicine, The American Council on Exercise, and The Aerobics and Fitness Association of America. She also holds specialty certifications from Schwinn Indoor Cycling, Bender Training Academy, willPower Method, Zumba, Balletone, BOSU, and Savvier Fitness. Her favorite formats are those that combine her two loves — dance and fitness. Yoga begins on Wednesday evenings at 6:15 p.m. with instructor Jeannie Pitts-Knipe, who graduated with a bachleor’s in dance and English literature from the University of Oregon and a Master of Fine Arts in dance education from the University of Colorado at Boulder. A dedicated educator, Pitts-Knipe has taught creative movement, dance and yoga classes throughout the western United States and in the Czech Republic. Pitts-Knipe is also a registered yoga teacher and currently teaches yoga at Sierra College, UNR, and O2 Wellness Studio along with modern dance and yoga at InnerRhythms. A Power-Hour Yoga class will also begin on Tuesdays, to be held noon-1 p.m., with Holly and Jon of Tahoe Mountain Martial Arts & Yoga. Voted Best Martial Arts in North Tahoe & Truckee, InnerRhythms is excited to have Tahoe Mountain in their space with Yoga, Baby & Me Yoga, Kickboxing, and Sculpting classes. For more information or class schedules, please contact InnerRhythms at info@innerrhythms.org, call 530-550-8464, or stop by the Dance Centre at 12047 Donner Pass Road in West Truckee.